Mariah Carey comes to the grand opening of a Bellevue restaurant and makes us feel all Hollywood. Plus a bunch of new happy hours and restaurant reviews. Baron’s Xi’an Kitchen & Bar in Lincoln Square is the latest grand Chinese restaurant to open in Bellevue, featuring hand-pulled noodles, dim sum and its signature $88 Peking duck, roasted in a custom-built rotisserie oven. Backed by investors in Shanghai, Baron’s seats 200 in the dining area and another 60 in the bar area. The 8,500-square-foot restaurant is more in line with the banquet halls and fine dining you would find in Vancouver, B.C., or Hong Kong. There’s $28 fried rice (with lobster, scallops and shrimp) and $34 wagyu short ribs, and that Peking duck will soon be available with caviar sauce for $188. Barbecue Smith, with Texas-style brisket, opens Friday (Sept. 29) in Maple Leaf. Chuck Shin of Chuck’s Hop Shop is one of the owners, so expect a well-curated beer list. At least a third of the 27 taps will be IPAs, he said. The early word is that the barbecue chicken is excellent. The backers behind The Sugar Factory American Brasserie went all out in their grand opening at The Shops at the Bravern in Bellevue, bringing in Mariah Carey to smile for the camera on Sept 6. Management boasts that the restaurant comes with “a floor-to-ceiling candy dot wall and candy bins featuring over 300 types of candy including the world-famous Couture Pops, chocolate covered gummy bears, jelly beans of various flavors and a wide selection of delicious chocolates. In addition to the endless candy options, guests can choose from two glass cases filled with homemade ice cream and gelato in addition to milkshakes, fresh homemade donuts and coffee.” If you don’t have a sweet tooth, there’s also a restaurant complete with burgers and chicken and waffles. Bakery Nouveau opens its largest bakery to date, a 7,500 square-foot facility in Burien with windows where customers can watch chocolate and other pastries being made. 85°C Bakery Café opens in Lynnwood, the second of four planned for Western Washington. 85°C is the biggest Taiwanese import since Din Tai Fung. The cheap, fresh pastries ($1.50-$2) are the big draw. The third bakery will open in Federal Way this fall. Sorry Bellevue, you will have to wait until late 2018 for yours. Jupiter has been a surprise hit so far, drawing big bar crowds even on weeknights. It resembles old-school Belltown and has a big game arcade like Shorty’s. The project comes from respected mural artist Joe Nix and Jeff Rogers, who owns the pinball place John John’s Game Room on Capitol Hill. Elysian Brewing opens its fifth location in Georgetown, a hotbed of stellar brews such as Georgetown Brewery Company and Machine House Brewery. In addition to 20 beers on taps, the brewery will house its barrel-aging program in Georgetown. The tap room holds about 140 (indoor and outdoor). Come winter, heaters will be stationed in the patio. Loews Hotel 1000 downtown reboots its bar and restaurant program with All Water Seafood & Oyster Bar. Management said the goal is to ship in fresh fish every day. The hotel also launched a new craft-cocktail bar called Bell Lounge. Both are in soft opening mode with minor construction to finish before their official opening on Oct. 12. Henry’s Tavern opens in Lincoln Square in Bellevue with 100 beers on tap, and, according to management, a “custom frost drink rail to keep pints cold and a third-floor outdoor patio with views of downtown Bellevue.” Next up: Henry’s Tavern will open on Amazon’s campus next month. Duke’s Seafood & Chowder opens its seventh location in downtown Bellevue, above another Seattle institution that moved there, Wild Ginger. MOD Pizza expands to Factoria, according to its Facebook posting. Tropicos Breeze, a Latin American restaurant, takes over the Ballard space of the recently closed Young American Ale House. N Gate Buffet, an all-you-can-eat seafood-and-sushi spot, opens in the Northgate area. Lunch is $13.99 on weekdays. The price almost doubles on the weekend. Coco 2.0 opens at Bellevue Connection (formerly Bellevue Galleria), focusing on teriyaki, katsu and ramen. 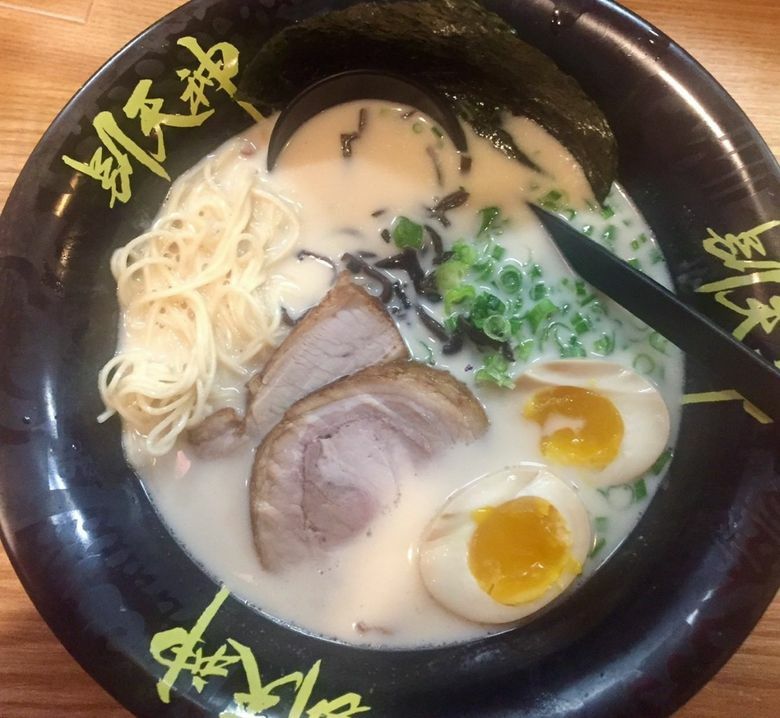 Kizuki Ramen & Izakaya expands to Bellevue Mall, its seventh branch in Washington state. Standard Bakery now has a brick-and-mortar shop in the Pinehurst neighborhood, with, according to its Facebook post, “fresh baked pastries, bread, bagels (weekends only), sandwiches, ice cream, ice cream sandwiches. Istanbul Cuisine Restaurant opens in Bellevue, serving manit (Turkish dumplings) along with the familiar gyros and kababs. For your caffeine fix: Caffé Umbria opened its third Seattle location earlier this week in Lake Union, west of MOHAI. It recently also opened its second location in Portland and plans to open another in Chicago next month. Capitol Coffee Works opens on the Pike/Pine corridor, across from Comet Tavern. Milstead & Co. moves back to its renovated home on 754 N. 34th St. On the Eastside, Third Culture Coffee opens in Bellevue and Jumping Beans Indoor Playspace & Cafe in Redmond doesn’t have its coffeehouse set up yet, but the play area is ready. Also, here are our recent roundups of new happy hours and new late-night happy hours.